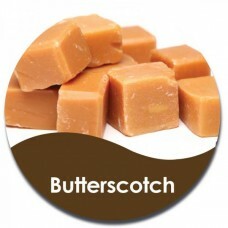 Just like the sweets your Grandparents used to give you, this Butterscotch from Vapor is perfect if you have a bit of a sweet tooth. This delicious flavour is exactly like the traditional sweet and buttery taste of the real thing, complimented by a touch of vanilla. This e-liquid is great on its own, for anyone that loves the taste of this classic confectionery, but also works well mixed with other e-liquids to create your own flavour, such as chocolate or banana! . WARNING: Nicotine is a Poison. Always keep looked up and out of reach of Children and Pets. Avoid contact with skin and stop using if you feel unwell. IF ANY NICOTINE PRODUCT IS CONSUMED, SEEK MEDICAL ASSISTANCE IMMEDIATELY. 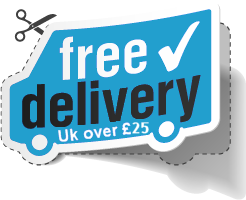 You must be eighteen (18) years of age, to purchase or use ANY OF our products. We reserve the right to terminate any transaction where we believe the customer is not 18 or over. We will also report anybody we believe to be purchasing our products for a someone under the age of 18.